Speed ​​Queen is a member of Alliance Laundry Systems, the world leader in industrial laundry and self service laundromats. 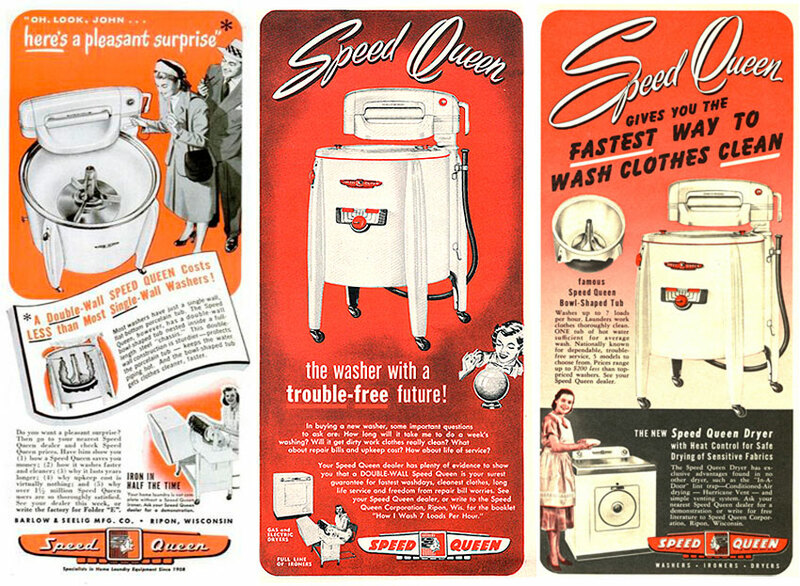 For more than 100 years, Speed ​​Queen has been manufacturing washing machines and laundry equipment for home and business users. Speed ​​Queen is part of American popular culture. Since its foundation in 1908, the young Barlow and Seeling has constantly innovated, eventually becoming Speed ​​Queen, the brand name of Alliance Laundry Systems. Winner of the Women’s Choice Award for the 4th consecutive year – in 2014 Speed ​​Queen launched its concept of self service laundromats for investors and individuals. Alliance Laundry Systems brings together the world’s largest manufacturers and suppliers of washing machines, including Speed ​​Queen. Alliance is aimed at professionals and individuals: hoteliers, managers of laundry stores and integrated laundromats in universities and public buildings. Alliance Laundry Systems machines are renowned for their durability, thanks in large part to their Alliance Star innovation center.